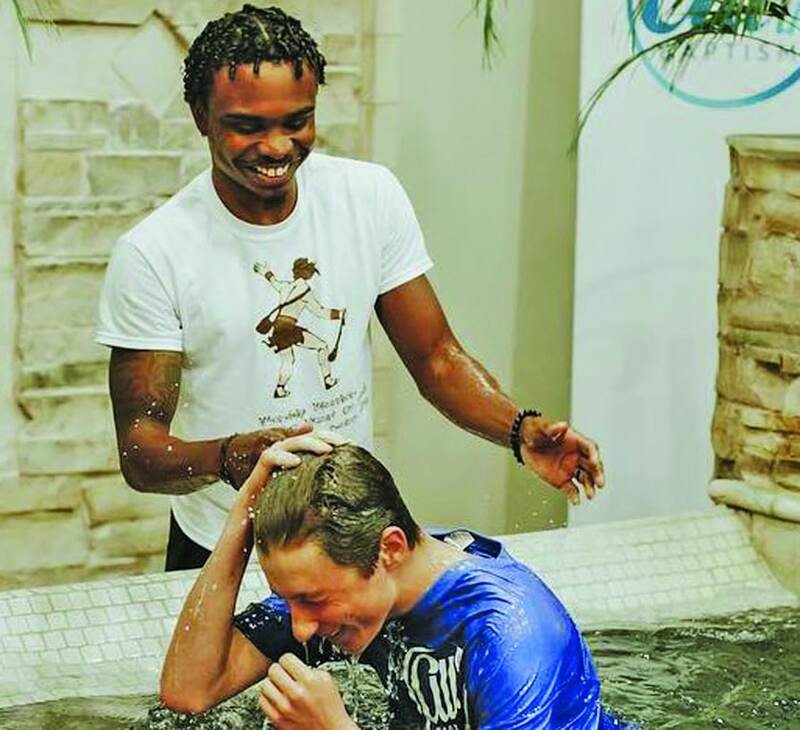 COVINGTON – Eric Hankins believes next generation evangelism flows through the home. 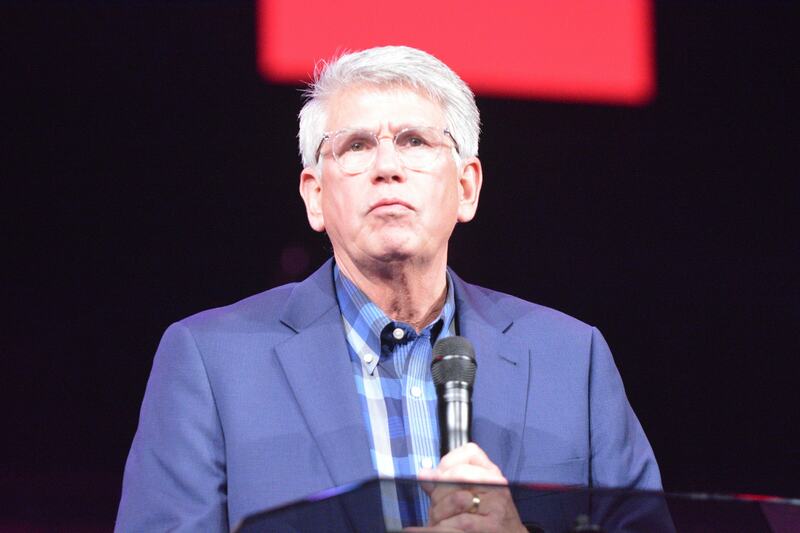 Pulling his message from Deuteronomy 6, Hankins, pastor of the First Baptist Church, Fairhope, Alabama, encouraged parents to model for their children a life anchored in the faith. 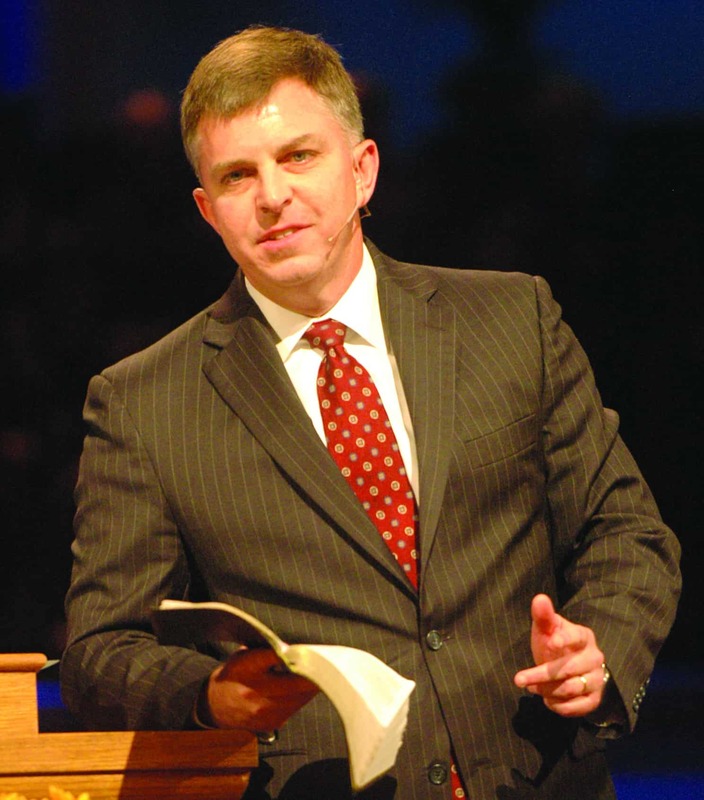 Hankins urged parents to teach their children to seek and stand for truth. 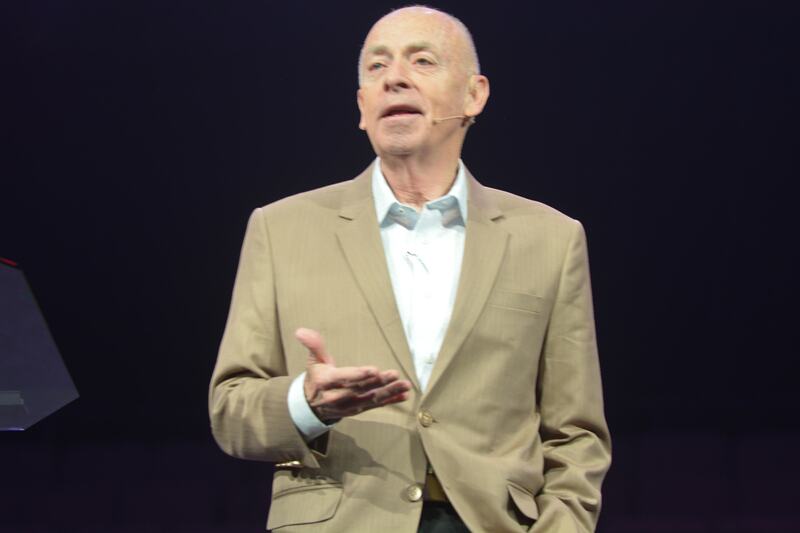 “The next generation of children needs consistency in the message,” he said. “They need to hear it time after time after time. And the word needs to match the consistency of your actions. “If you want your children and grandchildren to look like everybody else, to be popular, to be invited to all the things, then they’re not going to look like Jesus,” he said. “You must be willing — if you are going to raise godly children, if you are going to pour things into the next generation that last forever — you must be willing for your children to be different. Hankins’ children, J.D. and Emily, later joined him on stage to reaffirm how teaching children to live for Christ at a young age produces a harvest into adulthood. J.D. 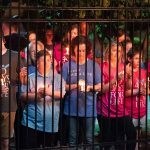 is the youth pastor at the First Baptist Church, Bruce, Mississippi, and Emily recently returned from a two-week mission trip to Cambodia. J.D. added that a “lineage of faith” helped shape him through his journey in ministry. 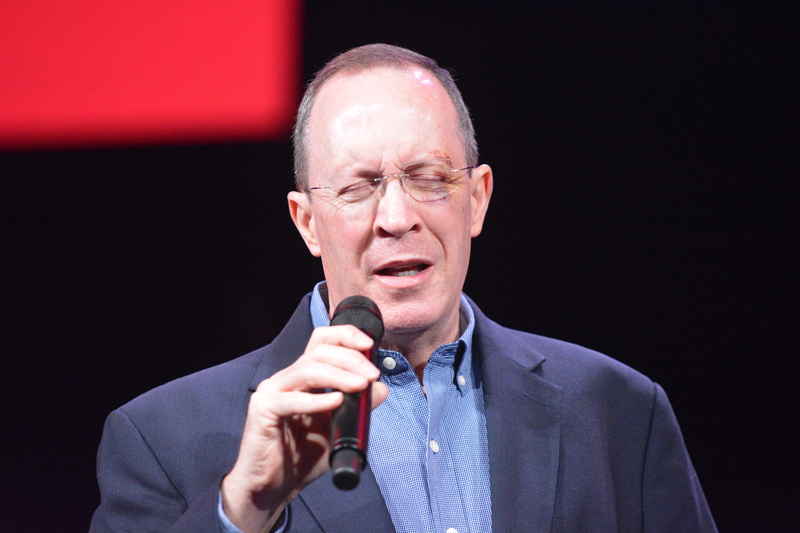 Hankins closed his message by sharing God taught him the importance of his children following God’s will. 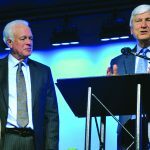 Hankins’ message was preceded by one delivered by his father, Louisiana Baptists Executive Director David Hankins. They were one of the two father-son duos who preached during ECON as part of a central focus to reach the next generation. 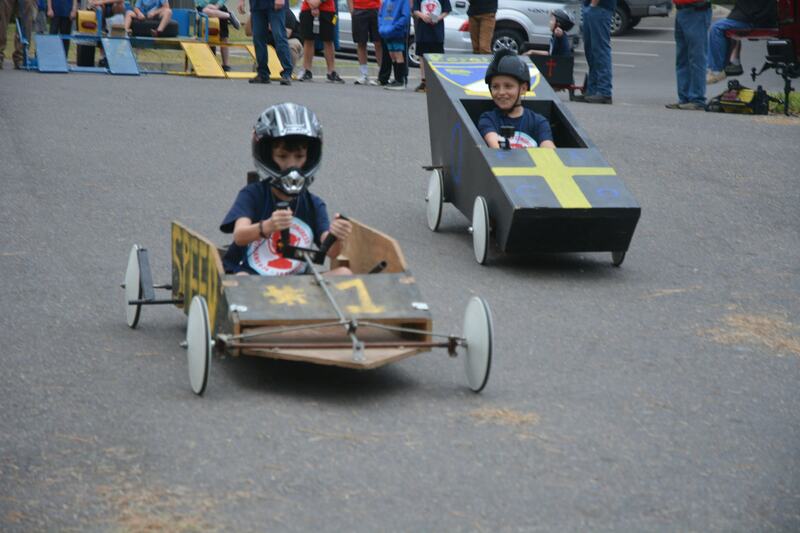 Hankins emphasized the need to finish well in the Christian race, based off Hebrews 12:1-3. Those who want to run the race for the prize must listen to the right crowd, lead the righteous cause and look to the risen Christ, he urged. 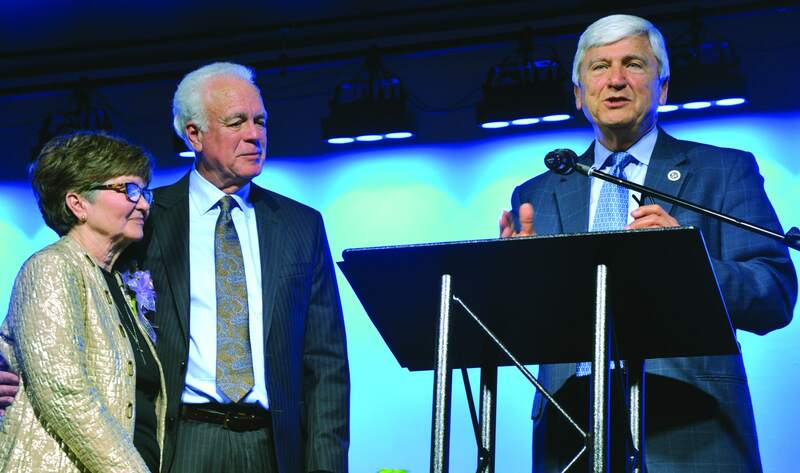 Hankins, who is approaching retirement, reflected on those who influenced him during his nearly 50 years of ministry. He was advised early on to preach the Word, and live consistently in season and out of season to finish his race well. 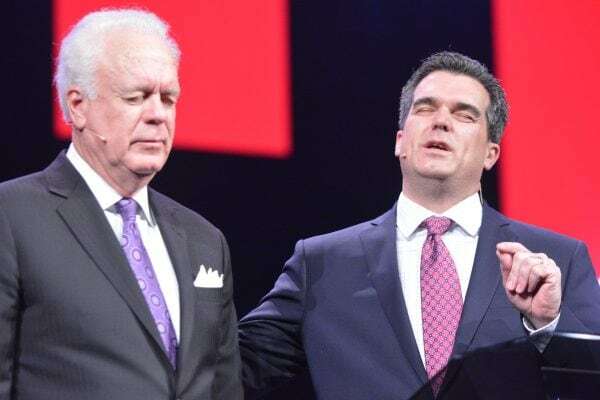 In a day when culture is increasingly antagonistic toward those who live out their Christian faith, Hankins urged Louisiana Baptists not to become discouraged. Hankins reminded the crowd to run the race with patience and perseverance. 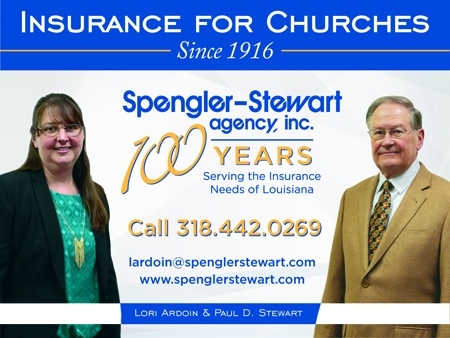 As Louisiana Baptists look to reach the next generation, they must do what it takes to reach them. 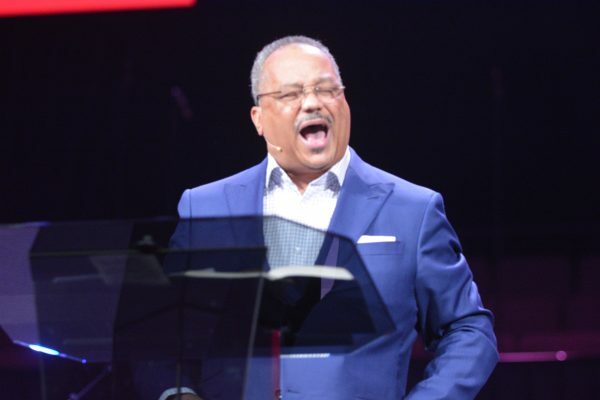 Referencing Mark 2:1-12, Chip Luter said the passage offers five key ingredients for transformational ministry: connection, compassion, collaboration, creativity and confidence in Christ. 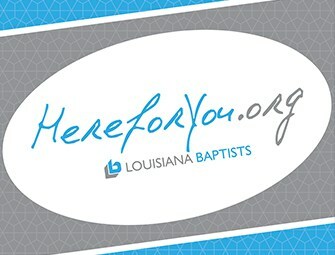 If Louisiana Baptists follow these guidelines, they will have the blueprint to reach the next generation. 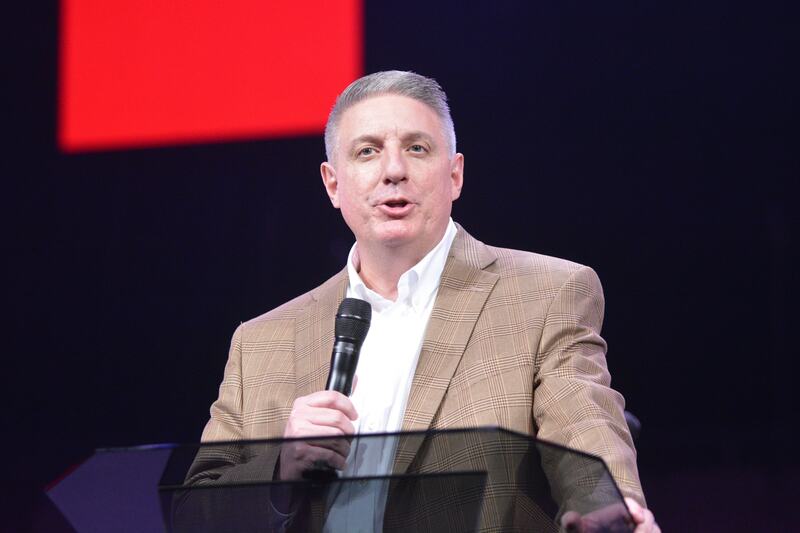 “As we think about the next generation and beyond, we must not lose the most desired outcome we want to see – transformation,” said Luter, pastor of the Idlewild Baptist Church Sulphur Springs campus in Tampa, Florida. “We want to see life change. 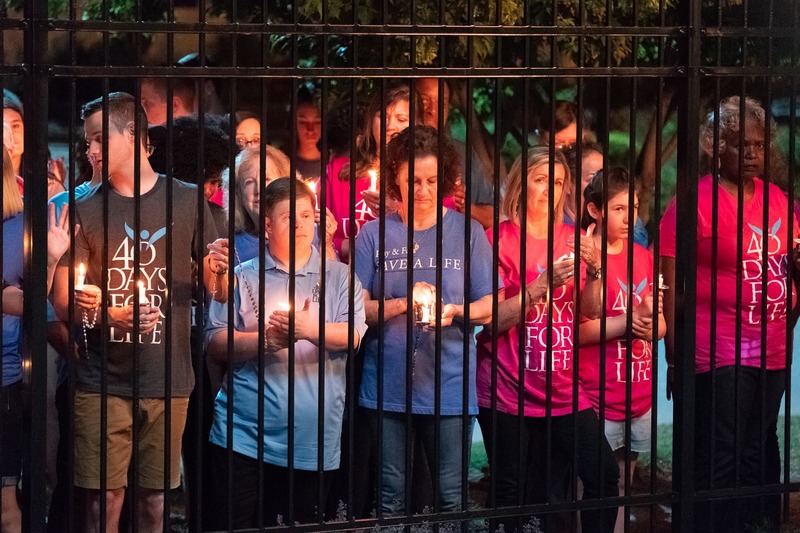 Luter said people must be intentional to seek to help the generations connect. 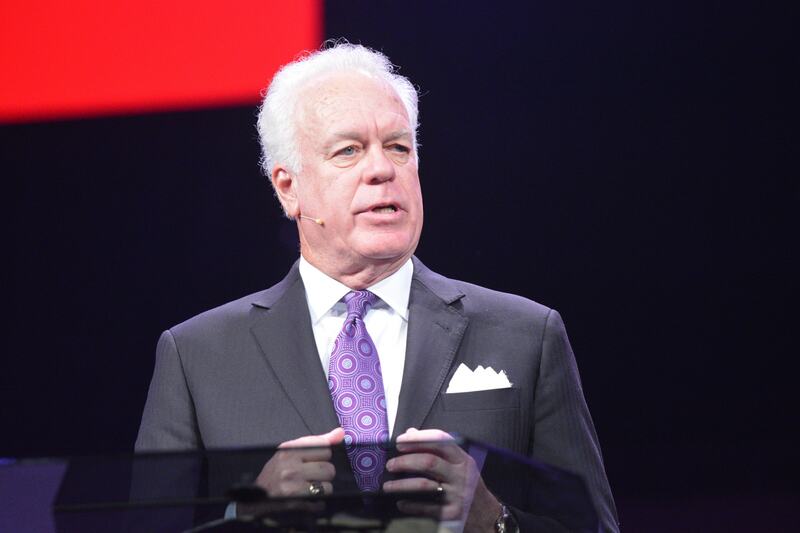 The culture is changing and churches must be willing to adapt their methods and models, not the doctrine and beliefs, he said. 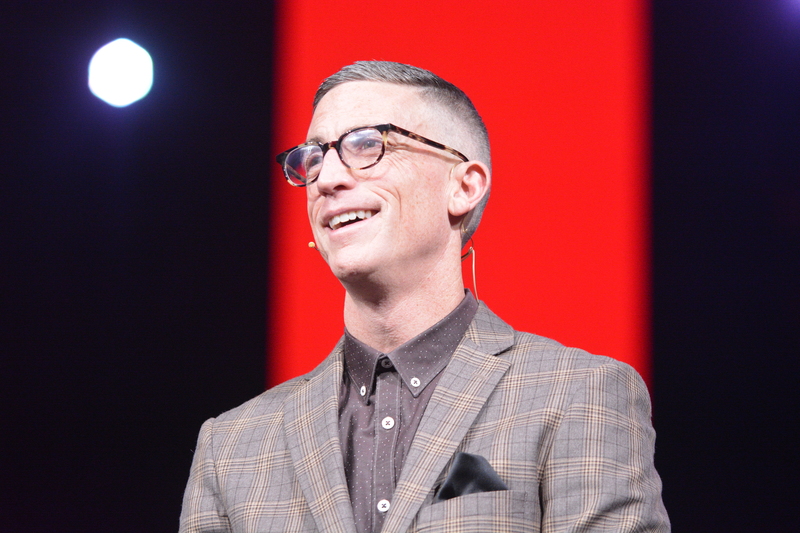 “Are you and your local church creative enough to reach a generation that isn’t it interested in church,” he asked. “The next generation is not interested in church. They want community. They want to belong. 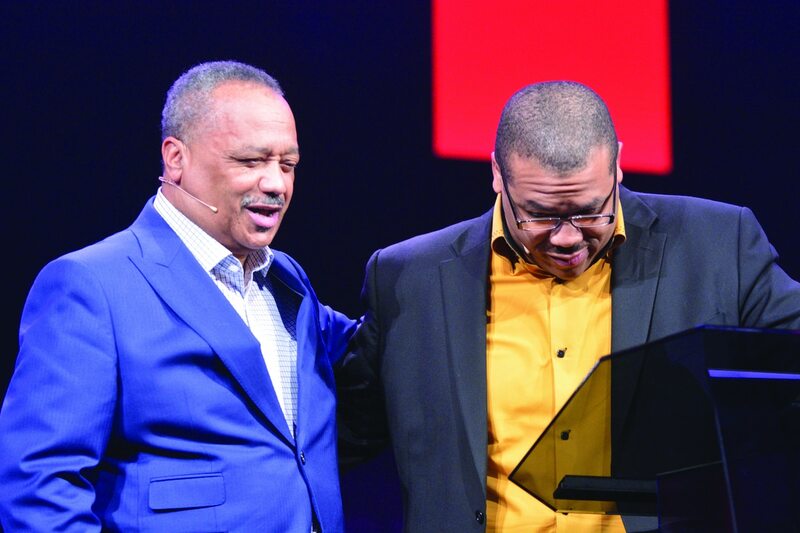 Following his son’s message, Fred Luter said Christ followers must commit to make disciples of the next generation. 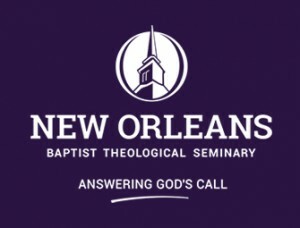 Citing Matthew 28:19-20, Luter, pastor of Franklin Avenue Baptist Church, New Orleans, said this can be accomplished if believers are to go to them, reach them and teach them the way to Christ. 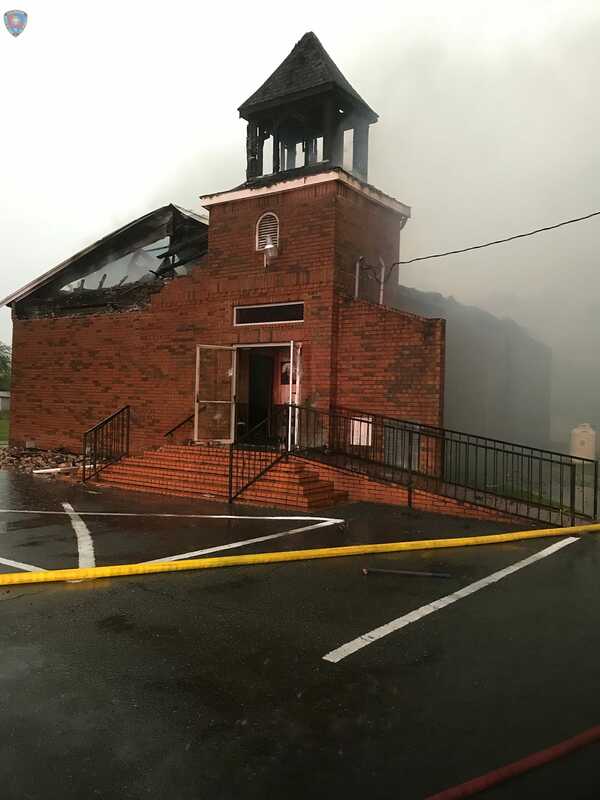 “There are a lot of lost and unchurched people in our world,” Luter said. “If we expect to win them to Christ, we must go where they are. 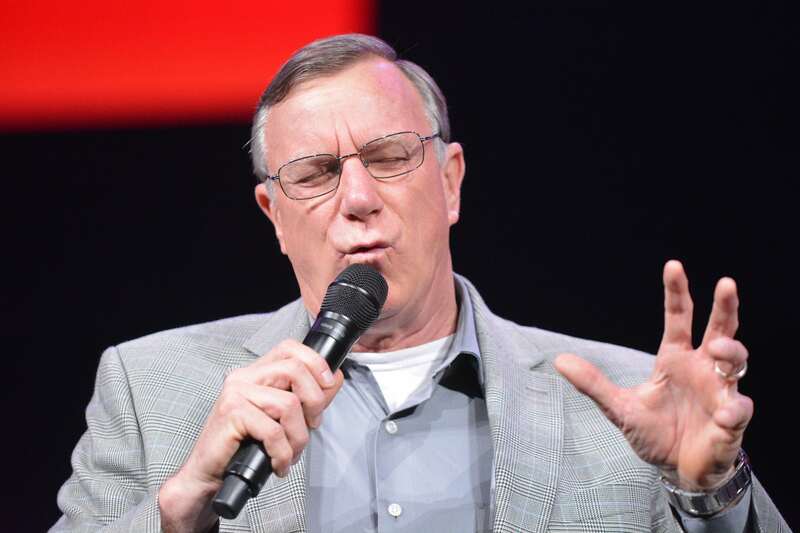 Luter said while attending church with other believers is important, going into the community to build relationships and share the Gospel is vital. Moreover, Luter said others can be reached by sharing a testimony of how Jesus changes lives. “We reach them by sharing our testimony, by sharing the Gospel, by lifting up our lord and savior Jesus Christ,” he said. “If we are going to reach them, we must introduce them to someone that will change their lives forever. 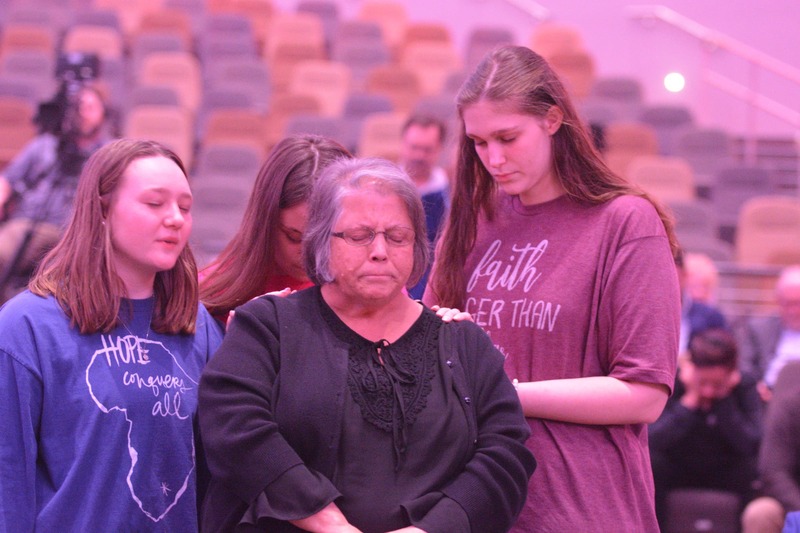 To reach the next generation, Louisiana Baptists should look to the Good Samaritan who showed compassion to someone different, Argile Smith said. 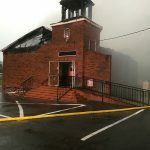 Smith, pastor of Parkview Baptist Church, Biloxi, Mississippi, citing Luke 10:25-37, said a religious leader believed he was justified in reaching only those who lived in his community. However, Jesus corrected his errant notion by sharing the parable of the Good Samaritan, who stopped to help a man of a different people group — after two religious men had already passed on by. 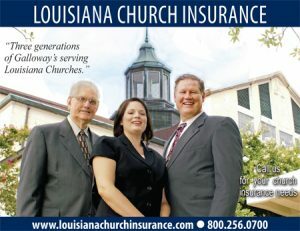 Much like Jesus closed the parable with a charge to the religious leader, Smith issued a charge to Louisiana Baptists. 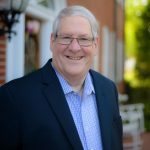 Atheist-turned-best-selling Christian author Lee Strobel closed out ECON by encouraging Louisiana Baptists to keep praying for people who have yet to turn to Christ. 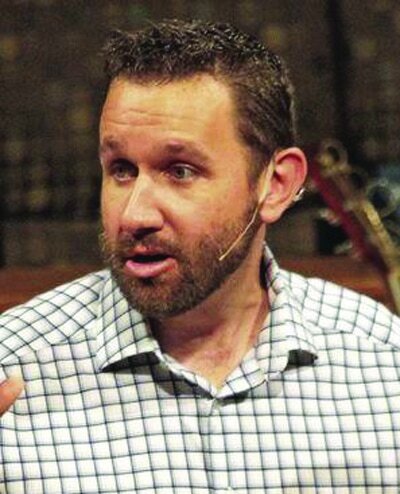 Strobel’s wife accepted Jesus early on during his own two-year search to disprove Christianity. Instead of giving up, she continually prayed for him and believed God would answer, which He did Nov. 8, 1981. 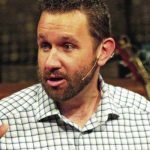 The next generation will be reached through apologetics, Strobel believes. Other Christ-followers must be open to the questions this generation may ask, and not see them as the enemy, he said. “They are not the enemy,” he said. “Satan is the enemy. And we have to validate them as people who matter to God the Father. And we have to understand that apologetics is a process and not an event. 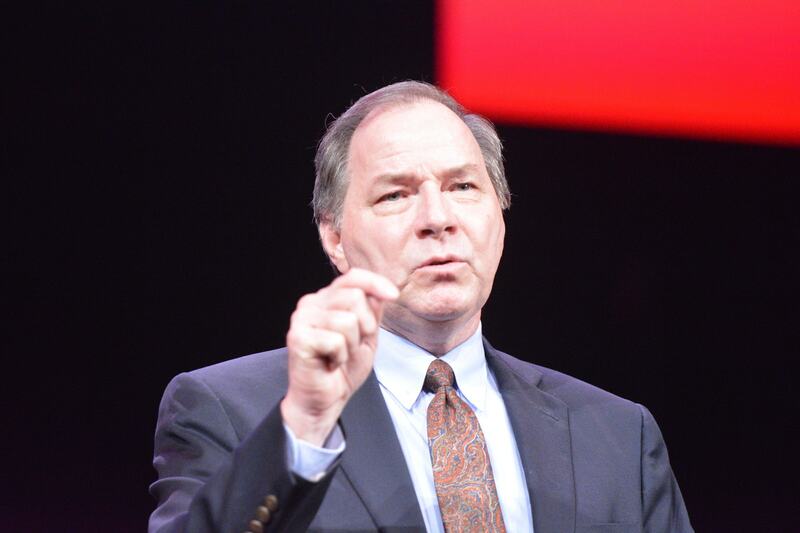 Strobel’s message was cut short after an area-wide power shortage that encompassed Covington, Hammond, Robert and Ponchatoula. Keith Manuel, evangelism and church growth director for Louisiana Baptists, welcomes ECON participants. 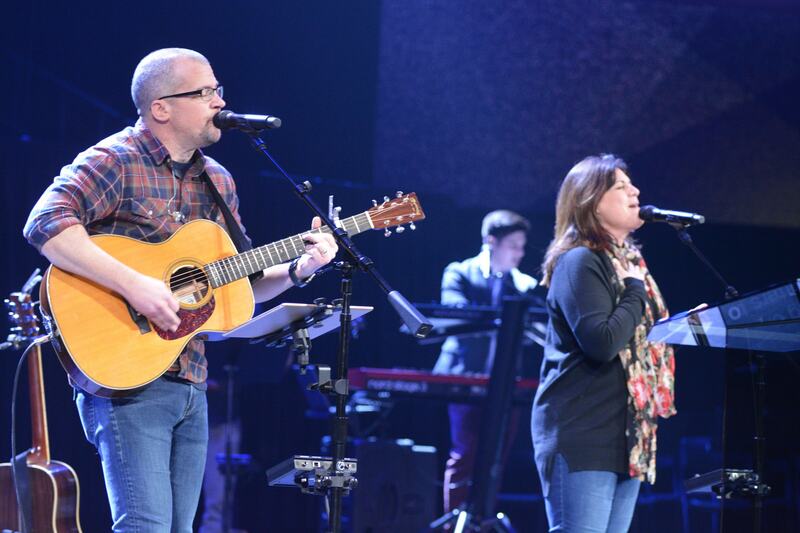 The praise band from First Baptist Church, Covington, leads a time of worship. 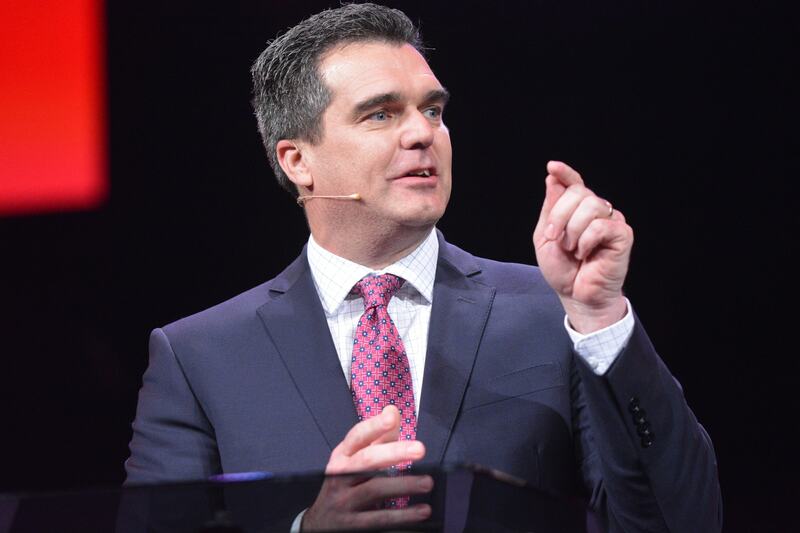 Waylon Bailey, senior pastor of First Baptist Church, Covington, shares how his congregation saw a need to reach the next generation and built a new worship center and education space. 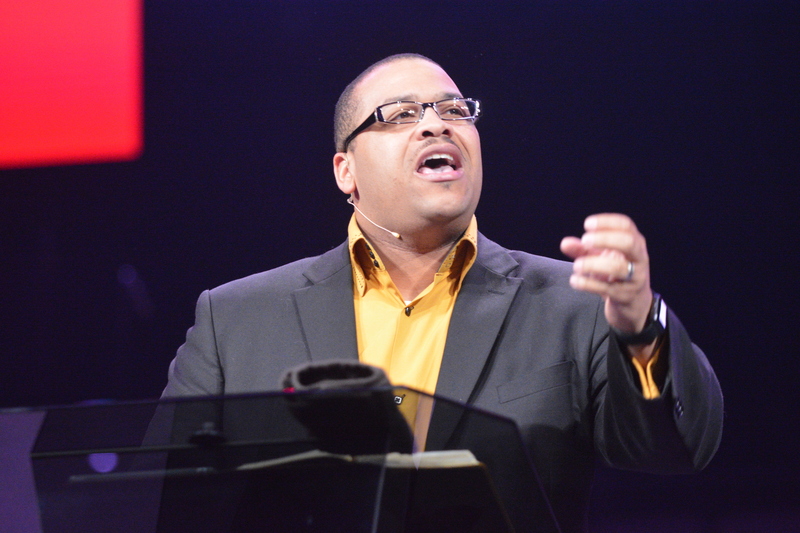 Chip Luter, pastor of the Sulphur Springs campus of Idlewild Baptist Church in Tampa, Florida, brings a message. Covington Mayor Mike Cooper welcomes ECON participants. Clark Stewart, senior pastor of New Zion Baptist Church, Covington, prays at ECON. 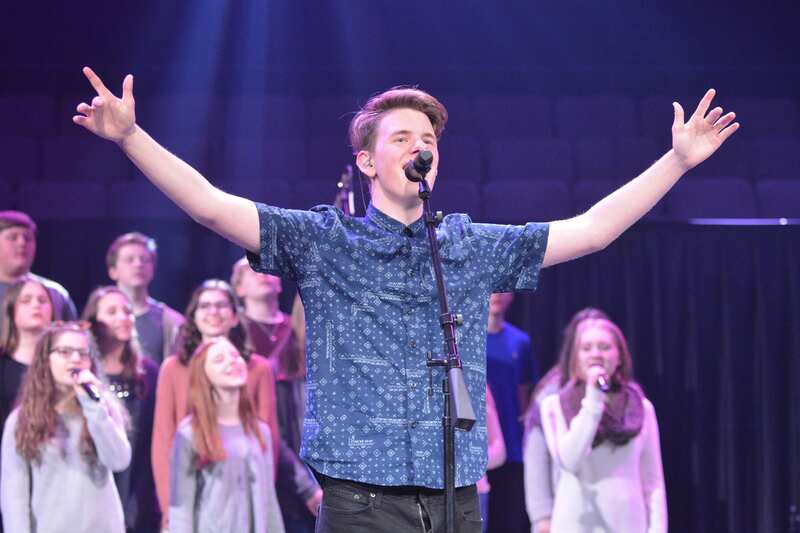 An area student choir leads a time of worship at ECON. Students surround an ECON participant in a time of prayer. 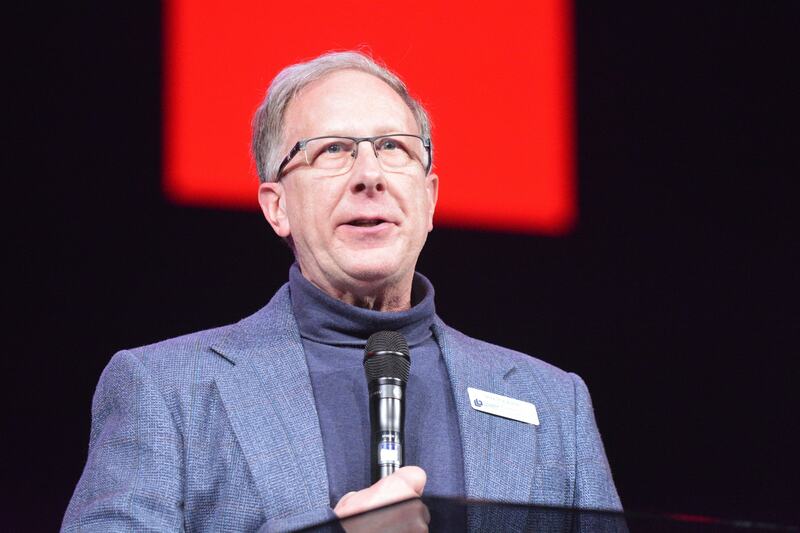 Ed Newton, pastor of the Community Bible Church in San Antonio, Texas, brings a message during Student Night at ECON. 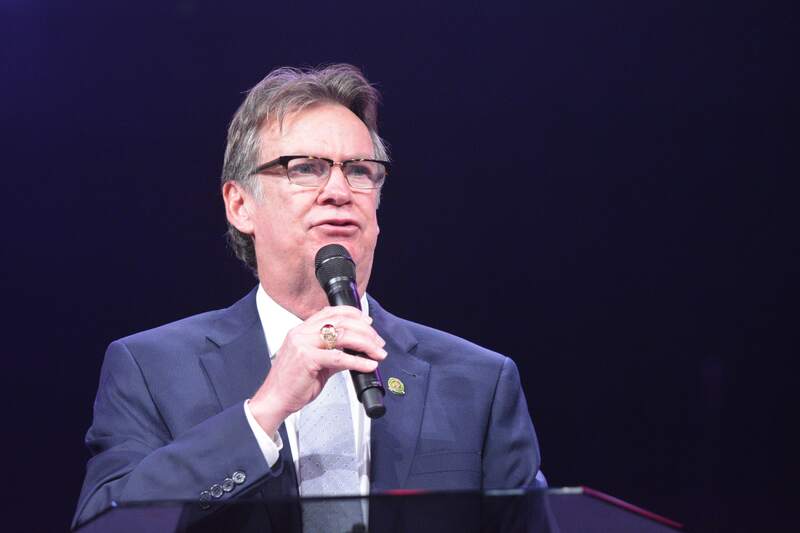 Louisiana Baptists Executive Director David Hankins brings a message at ECON. 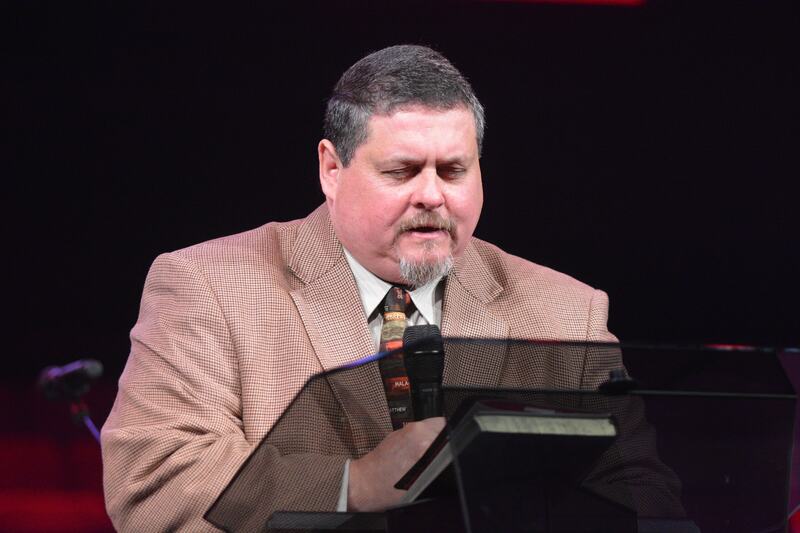 Eric Hankins, pastor of First Baptist Church, Fairhope, Alabama, brings a message. 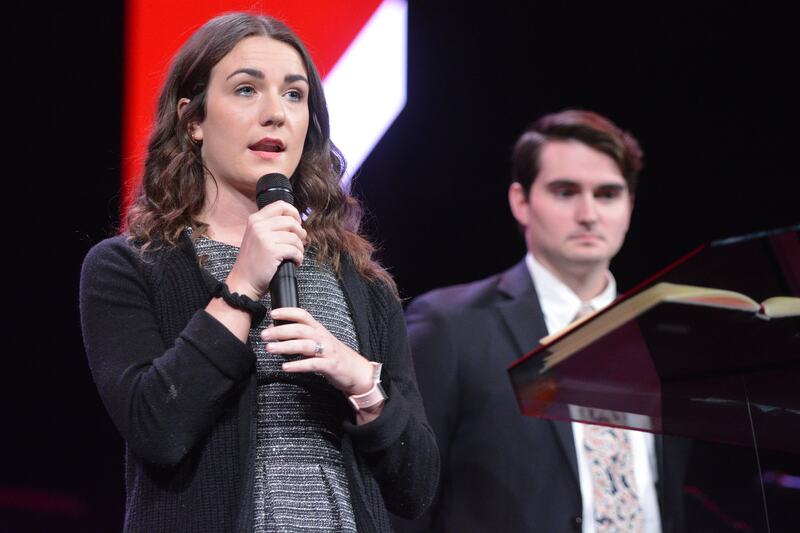 Emily and JD Hankins share at ECON how their father, Eric, influenced them to live for Christ. Don Pucik, newly elected association mission strategist for Northshore Baptist Association, prays at ECON. 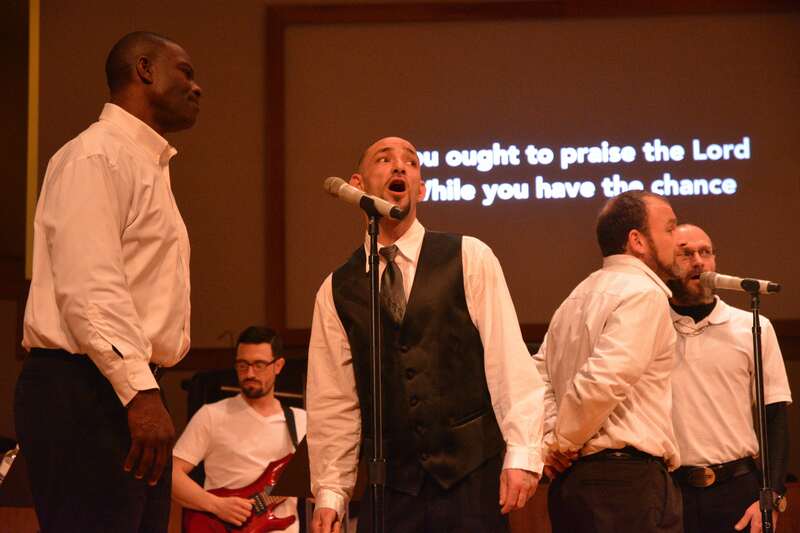 Giving Hope Ministries leads worship during the Senior Adult Luncheon at ECON. Stan Statham, association mission strategist for Baptist Associations of Southeast Louisiana, opens the second day of ECON in prayer. Jeff Ingram, adult ministry strategist for Louisiana Baptists, addresses ECON participants. Jay Johnston, associate pastor at First Baptist Church, Covington, shares about the upcoming National Day of Prayer. Argile Smith, Parkway Baptist Church in Biloxi, Mississippi, encourages ECON participants.